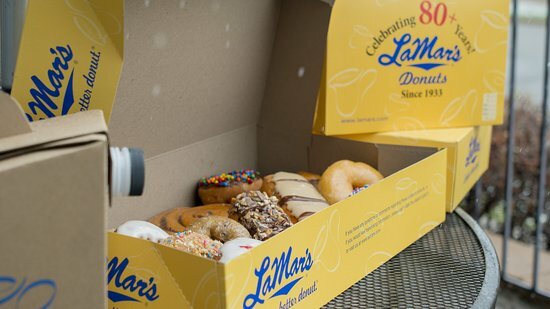 LaMars is the only donut shop I will go to They have the best in Lee's Summit . They have glazed , chocolate covered ,spinkles, long johns with or without pudding inside. 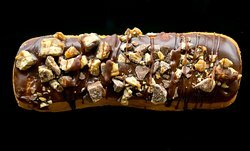 They have a giant German chocolate longjohn that is amazing. Thanks for the great review, Wilma! We look forward to sharing an even better experience with you soon! Have a lovely day! If they are extremely fresh. Service can be hit or miss. Sometimes line is really long and only one person working.And you can't depend on them having French crullers at this place bc they say they can't make them in the humidity. Thank you for taking the time to post your feedback, we are always looking to improve. "My faves are Devil's food and Blueberry plus the German Chocolate Twist."..... Yum, we love it!! Thank you for taking the time to review us and we hope to have you back soon. Glazed are light and fluffy. Blueberry cake - delicious. Even with a line they get you in and out fast. 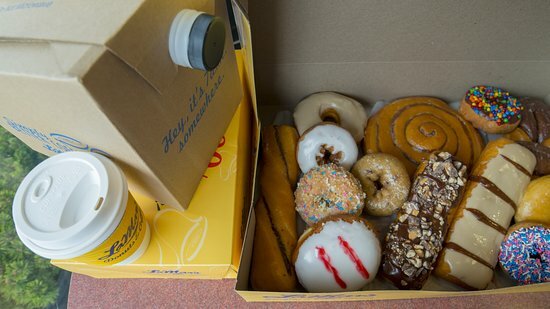 If you are looking for some good donuts, don't think twice and go here to have a great breakfast or brunch! We will pass this along to our staff! Thank you for the review! We’re sorry to hear of your less than satisfactory experience with LaMar’s and hope you will accept our sincerest apologies. 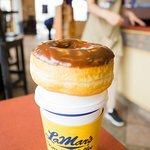 Get quick answers from LaMar's Donuts and Coffee staff and past visitors.